The School of medical laboratories in Hebei North University consists of a secondary school, formerly known as the Zhangjiakou Medical College Department of medical inspection. Inspection Department was founded in 1985. Hebei province is the cradle of medical laboratory personnel. After more than 20 years of hard work, the Inspection Department completed course system, strong teachers, teaching equipment, strong professional academic atmosphere of Hebei province. College of undergraduate education, organizing a graduate education, taking into account the specialist training. Institute of laboratory medicine faculty, now form a well-structured, dedicated, high level of teaching and scientific research ability of teachers team. We have College Faculty of 65 people, 56 full-time faculty members and 17 Associate Professors. The average age of stuff is below 50 years old. Faculty scholars have visited the US for exchange programs. Department of Medical Inspection Institute, Department of Biochemistry, Microbiology, Clinical Inspection Department, Department of Preventive Medicine, Department of Parasitology and Immunology shared responsibility on schools undergraduate students, graduate students, 22 undergraduate course teaching of foreign students. The laboratory diagnosis and the Clinical Microbiology and Laboratory in Hebei province quality courses; the Immunology, and the Clinical Biochemistry, basic clinical laboratory and Parasitological and test for school-level excellent courses. The College focuses on discipline construction of medical laboratory and research work. There is one key subject of “Microbiology”, a university-level Institute of “Microbiology and Immunology Research Institute”. Teachers presiding over or participating in the national 863 project the national natural science foundation of City Hall and more than 50 research projects, and other items, has published more than 200 papers and periodicals, published 16 of them. Institutes focusing on experimental teaching reform of laboratory medicine, the medical laboratory experiment teaching Center and approved by the provincial education Department as provincial experimental teaching demonstration Center construction, is a laboratory specialty in colleges and universities of our province’s first provincial experimental teaching demonstration center. Total area of 2,016 m2 Center under the laboratory equipment worth more than 6 million Yuan, total of 13 full-time lab personnel, including 5 Bachelor degree holders. Experimental center had undertaken 20 courses, 11 specialized undergraduate and graduate students, students in the experimental teaching of tasks, now it has become a good platform for training and scientific research. Medical Test College focused on students practice capacity training, 18 existing stable internship hospitals: PLA 302 Hospital, PLA 306 Hospital, PLA 251 hospital, PLA Navy General Hospital, Tsinghua University Subsidiary Hospital, Beijing Civil Aviation General Hospital, China TCM Institute Xiyuan Hospital, Fengtai District People Hospital, Hebei Province Chest Section Hospital, Cangzhou Center Hospital, Hengshuihalixun International Peace Hospital, North Oil Pipeline Council Hospital, Xingtai People Hospital, Zhangjiakou City First Hospital and four subsidiary hospitals. Teaching hospitals are abundant with advanced equipment. School of medical laboratory to cultivate solid theoretical knowledge, practical skills, and creative and are well favored by employers. Placement rate of 100% across the country; articles by the rate of 30%. 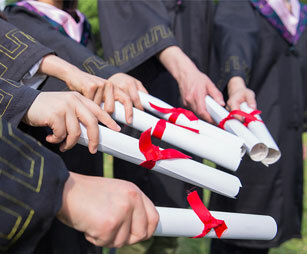 For more than 20 years, large numbers of graduates are widely distributed in Beijing, Tianjin, Hebei and other area colleges and universities, hospitals, Centers for Disease Control, blood banks, independent laboratories and testing equipment, testing reagents for research and development or sales unit, the vast majority have become the backbone of the business, by the public acclaim. Institute of laboratory medicine adhered to the “State Institute, Scientific Research Institute of teaching,” principles of development, to improve teaching quality as the core, with a focus on strengthening connotation construction, focus on discipline construction, and stick to innovative ideas.